For more information click on the picture or the button below. The Crisis Intervention Team (CIT) is made up of law enforcement officers, EMS, and firefighters who have completed specialized training in mental illness and crisis intervention techniques. The CIT program, which was formed in 2007, is coordinated by the Durham Center and the Durham County National Alliance on Mental Illness (NAMI). Personnel that complete the CIT program have training in specialized areas including Suicide Risk Assessment and Intervention, Law Enforcement De-Escalation Techniques; Homeless Population and Mental Illness; Developmental Disabilities (including Autism) and Special Concerns with Adolescents. 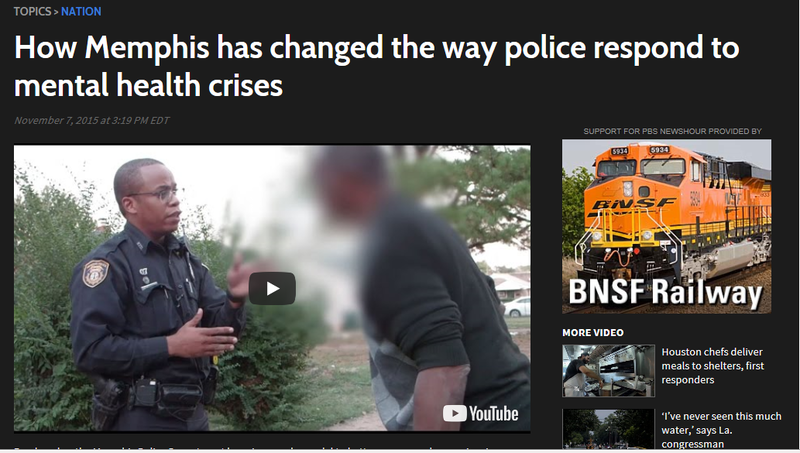 The Crisis Intervention Team (CIT) model of policing was developed in 1988 in Memphis following the police killing of 27-year-old Joseph Dewayne Robinson. Robinson was in the midst of a mental health crisis, threatening suicide and cutting himself with a knife. Officers repeatedly ordered him to drop the knife; he became agitated and brandished the knife, moving toward the officers. He was shot eight times. A public outcry following the killing led police to develop the CIT model to intervene more effectively and humanely in situations involving troubled individuals.